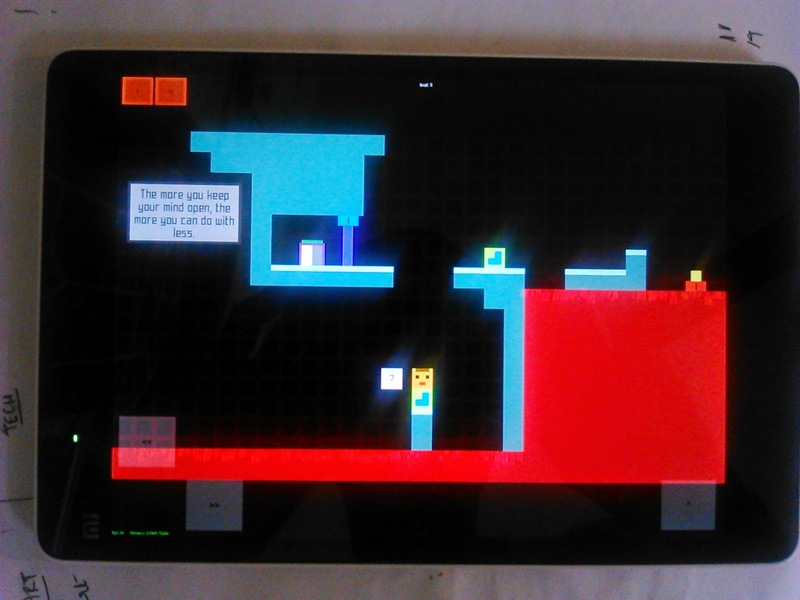 Adaptivity is a platformer puzzle game. I started developing the game in mid february 2015. The basic idea of the game is that the elements in the game work relative to player's actions in a specific way. This simple idea opened up a world of possibilities. I worked on the core pieces of the game from a public library. The library was a great environment for me to completely focus on my work. I was very productive there. I worked from home on other days. I feel the need to go to the library whenever I feel like I need a change in my daily routine. I think it is a great way to stimulate creativity. 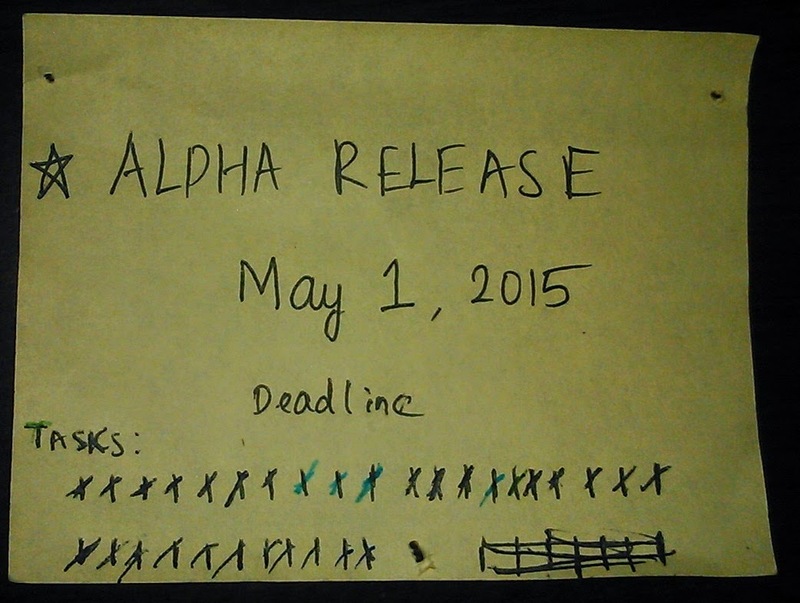 I had set myself a deadline for alpha release on May 1st. 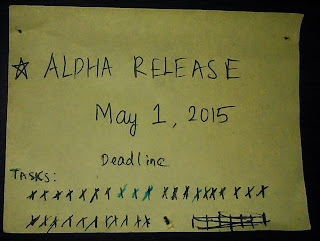 I had also listed all tasks required to be completed before the deadline. The deadline gave me more focus and also gave me a reason to push myself. I was experimenting with a new platformer mechanic. I wanted to see how well the mechanic is received by the players. Most importantly, I wanted to know whether people think that the gameplay is fun. It enabled me to make improvements to the game based on feedbacks. The first two reasons would give me a new energy/motivation to finish the game. The alpha version can be played here. It received 2.95/5 initially. After a series of updates based on feedbacks, the score bumped up to 3.5/5. Players have acknowledged that the gameplay is innovative and fun. The game is planned to be released on android first, later to ios. I've been testing the game on android devices as and when I pushed new features to the game. I have already set the deadline for the beta of the full game, which is May 31st. I have to push myself really harder this time to finish before deadline. The plan is to add new elements to the game, polish the mechanics, and make pixel art for the game. Please note that I have just started learning pixel art. A minimum of 100 levels can be expected. Sounds and music also need to be added. For updates related to Adaptivity, follow the game on facebook. I've been writing clean code for Adaptivity. I refactor code whenever necessary so that everything in the code eventually gets placed where it is supposed to be. I slowly fell in love with clean code when I was working at my previous company Axham games. I picked up a few skills while I worked there, those skills made my work more interesting and has increased the quality of work.